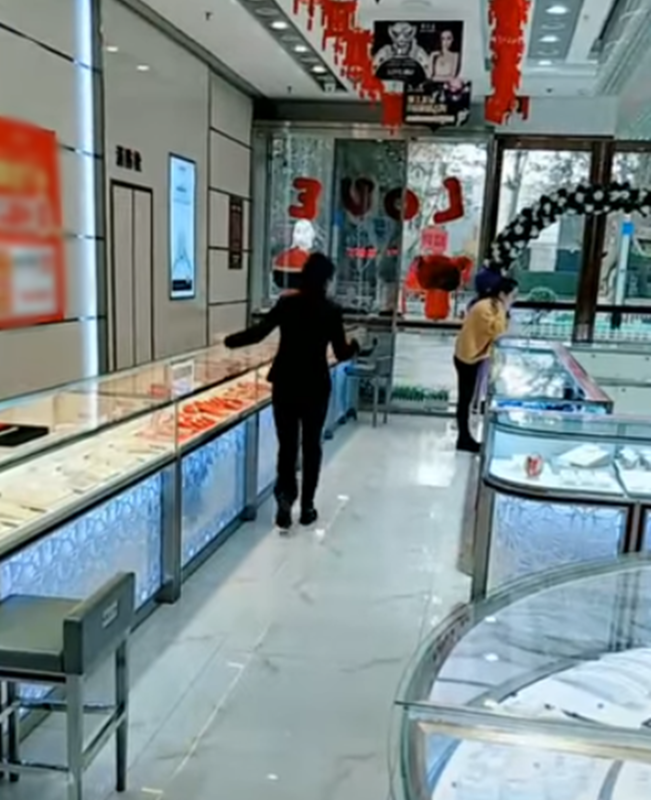 The video clip of another female customer who pranked a sales lady inside a jewelry shop goes viral after it was posted on the social media. Over the past few weeks, the video footage of a man who pranked a sales clerk inside of a shoe store has been one of the most popular videos online. The man trying to fit a pair of shoes inside the store suddenly ran away prompting the sales clerk to chase him. However, the sales boy got embarrassed after the male client returned after trying the shoes in running. 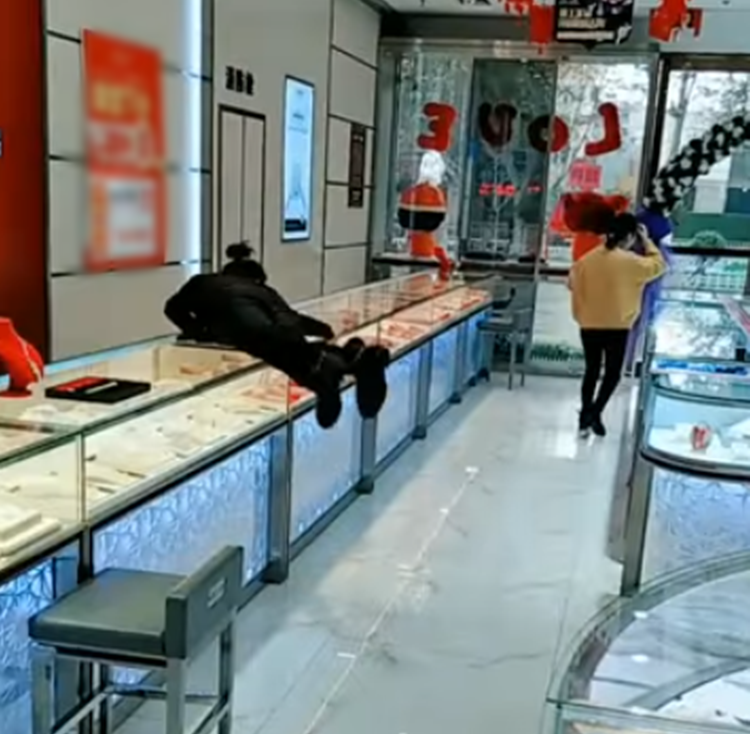 Recently, another female customer performed the same prank but this time it happened inside a jewelry shop. 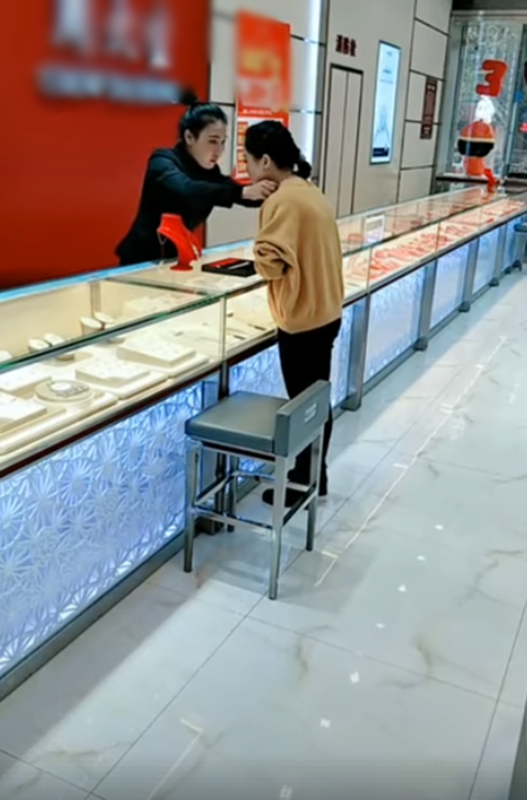 In the video, it can be seen that the sales lady placed the necklace on the female customer’s neck who was trying to fit the jewelry. The female customer suddenly ran away while wearing the necklace, so the sales clerk attempted to chase her. Unfortunately, the woman stopped at the mirror to see if the necklace perfectly fits on her neck, which causes embarrassment to the sales lady.